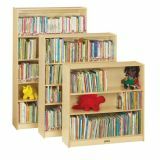 Our cozy Bookworm will liven up any reading space. 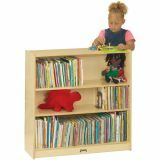 Center seat is the perfect height for little ones to sit or lean against while reading. 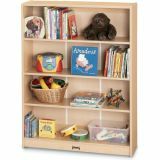 The attached book displays provide easy access to everyone's favorite books. 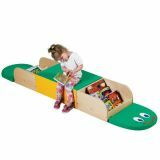 The smiling face and tail provide an excellent floor cushion where little learners can sit and read or kneel comfortably. 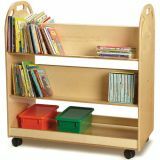 Book displays are constructed of 11-ply birch with a durable UV finish. Soft seat, face and tail are covered in wipe clean, eco-friendly polyurethane. 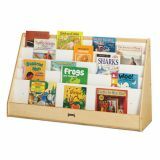 Easily store lots of books with this flushback Pick-a-Book Stand. Fully rounded top. Five display shelves, approximately 1" deep. Stores flush against walls. No storage in back. Mobile option not available. 131⁄2"D x 66"W x 271⁄2"H. Weight 66 lbs. 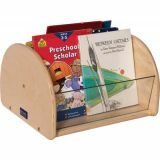 Easily store lots of books with this flushback Pick-a-Book Stand. Fully rounded top. Five display shelves, approximately 1" deep. Stores flush against walls. No storage in back. Mobile option not available. Lifetime warranty. 30"W x 13 1/2"D x 27 1/2"H. Weight 46 lbs. 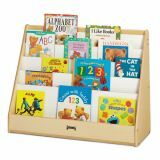 asily store lots of books with this flushback Pick-a-Book Stand. Fully rounded top. Five display shelves, approximately 1" deep. Stores flush against walls. No storage in back. Mobile option not available. 13 1⁄2"D x 36"W x 27 1⁄2"H. Weight 47 lbs.